Hibernate is a big-hearted and brutal story collection. In these globe-spanning stories, Elizabeth Eslami follows ordinary men and women who slowly awaken to hard choices. A fishing trip forces two Montana brothers to grow up in ways they never could have imagined. A Sudanese immigrant begins a new life with his girlfriend in America, only to find himself pulled toward his mother’s past transgressions. A group of tourists visits an Indian pueblo and realizes their tour guide isn’t at all who they expected. A shipwrecked captain and his men cling to the company of narwhals and Eskimos. And in the unforgettable title story, two lovers trade life as they’ve known it for an escape into the extraordinary. A masterful storyteller as likely to draw blood as to heal, Eslami moves her restless, resilient characters across an uneven landscape toward a hard-earned place of peace. Each of Eslami’s stories works on the reader like a solar eclipse. There is the same feeling of melancholy suspense, the expectation of something rare and beautiful, of being held both inside and outside of time. And then comes that brief moment when we are able to look fully at what would otherwise blind us, those things we do to each other in the name of love and anger and fear. Using clean lines, Eslami cannily depicts the variety of human strangeness and longing. These stories are sage, vital, and addictive. More than that: they will pierce your heart. Oh, what a writer. Elizabeth Eslami continuously surprises and amazes. Hibernate is a collection of unique and astonishing stories. A luminous collection… intelligence and beauty manifests at every level. These stories turn and shift in unexpected directions, their movement is powerful, and the language sings at every turn. What a pleasure it is to read this book. I am more than happy to be able to select this book; I am proud. Never less than perfectly honest… A searing array of stories envisioned through crystal-clear eyes. With each story Eslami conjures up a complete and believable world, draws the reader in, and patiently lines up the elements of a terrible fall, a stunning realisation, or a frightening climax. Eslami captures the moment before a scream, the silence after an explosion, and she does so with an expert hand. 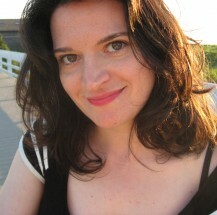 Elizabeth Eslami cuts deeply to the heart of the human experience in modern America, as with an expertly-wielded knife. 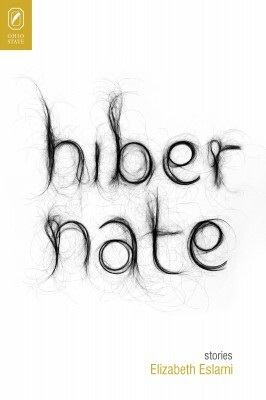 Written in a sparse, clear form that reminded me of Raymond Carver, Hibernate takes its characters through the trials and joys of everyday life, holding up a mirror to our own experience.